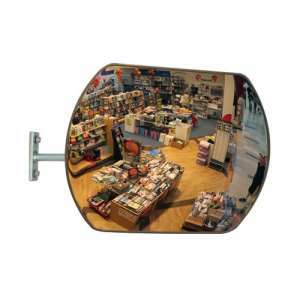 The Indoor Space Saver Mirrors are discrete and can be used where a less visually intrusive method of surveillance is required. The rectangular shape is also ideal in buildings with low ceilings. Complete with adjustable J-Bracket which attaches to an Aluminum Bar on the back of the mirror face. 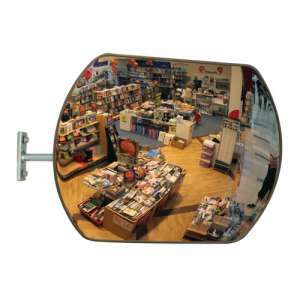 The 24" x 16" Space Saver Mirror is discrete and can be used where a less visually intrusive method .. The 32" x 24" Space Saver Mirror is discrete and can be used where a less visually intrusive method ..